Configurators are becoming more and more popular as an alternative method for manufacturers and retailers to classic consultations. Their use is particularly widespread in the B2C world. For example, enthusiastic customers playfully put together cars and wardrobes using a configurator. In the first part of our two-part article series, we showed you the benefits of what an online product configurator can offer, with a particular focus on B2B applications. Complex goods, such as cranes, components, or connection components can already be compiled right online. B2B companies are already recognising their great potential: effective and first class digital sales consulting, lower costs, better tailored products and services, and happier customers. However, in order to be able to offer this added value to customers, it is necessary to finish the initial design and implement the configurator. In the second part of our series, we’ll explain the success factors for digital configurators and why retailers and manufacturers should use one. Which aspects do retailers and manufacturers have to pay attention to? Even if it does not look like it, a configurator is a technical masterpiece. It is quite a challenge in itself to determine prices and to break down each individual end product into combinable and (in terms of price) measurable parts. 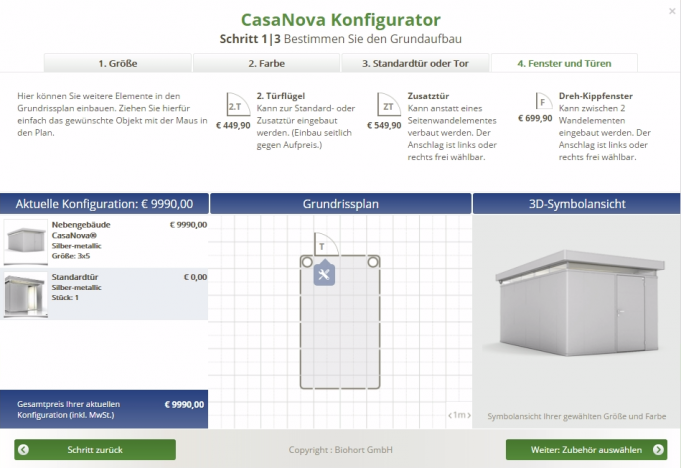 In addition, a configurator must be simple and intuitive to use. From the beginning it is important to clarify the meaning and purpose of the configurator. It is helpful to ask yourself the following question: What do I want to achieve with a configurator? When the answer is clear, other key questions arise, such as business value and target audience. Is an intuitive operation necessary for all target groups or should the configurator only be used by qualified personnel instead? It is also interesting to know on what kind of terminal the target groups will use the configurator. An online product configurator always focuses on the product range and its attributes. Which combinations are possible? When designing a configurator, the degree of product feature breakdown plays a major role. You can choose between fixed or customisable properties. 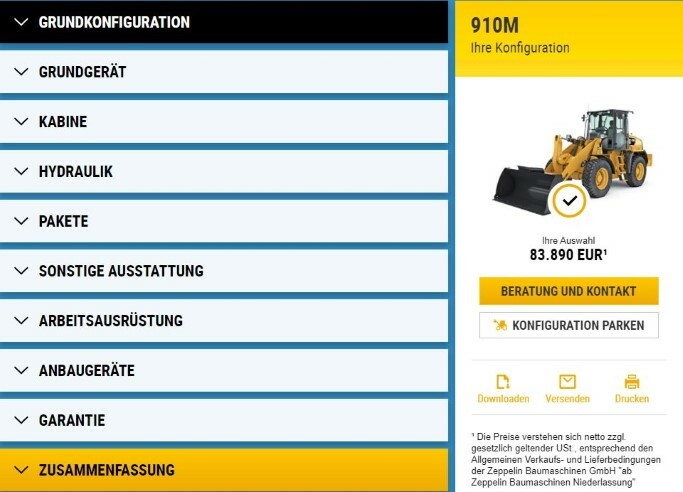 For example, with Zeppelin’s construction machine configurator, customers can only select from the given equipment. This results in a lower individualisation, but you can still cover essential requirements. If the user has free choice, it is advised to offer system recommendations for combinations or at least to give help texts to explain the benefit of certain choices. This makes the consultation more user-friendly and easier. The heart of a configurator are the rules that determine which element is used when. For complex products, a high number of dependencies can arise. For example, if not all components fit together, as is clear from the Eisele configurator. Therefore, it is important to allow easy management of the rules. An online product configurator should act as an effective and useful digital sales consultant. Retailers and manufacturers should pay attention not only to the versatile and combinable product features, but also to the user-friendliness. There are different ways. The following steps serve as a digital guide to provide relevant and practical information and ultimately make informed decisions. But how can you best present the content? One option is to offer a technically correct and complete product specification. 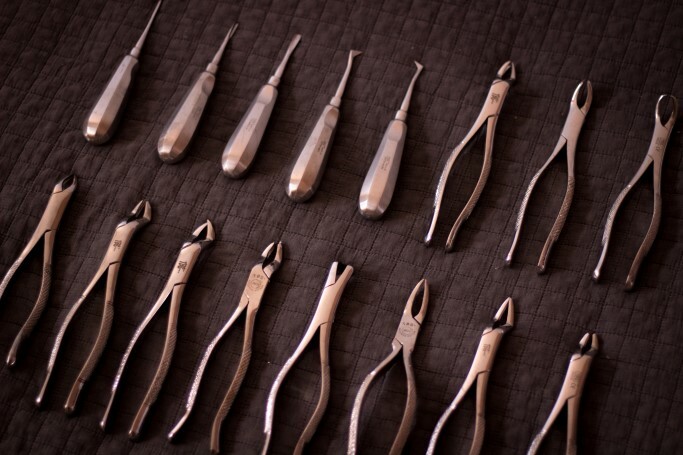 The other option is the delivery of documentation tailored to the individualised product. The B2C sector has the edge here, as B2B companies can still learn something by watching. At mymuesli, for example, additional information on allergenic substances is included. How to address and guide the user must be adapted to the shop. Therefore, one should first determine how, where, and when the products are visualised: through finished product images or other views? A live preview through photographs, renderings, or a 3D configurator is an advantage. For complex products, the latter is very helpful. With the 3D CAD Configurator from Bernecker + Rainer (B&R) it is possible to export the designed component in all formats for all common CAD systems. In order to facilitate convenient shopping and intuitive handling, of course, high-quality usability and good performance must be guaranteed. Just as today’s operation on mobile devices via responsive web design is standard. The customer journey does not end with the product completion in the configurator just yet. It continues. Which action should be triggered when the customer has completed the configuration? Do we offer them a direct order or an offer with contact details? If the goods are very expensive, as is often the case in B2B, then the special offer option becomes more important. This allows distributors to create customised offers based on configuration (and customer specification). The more options there are, the higher the requirements for fast delivery are, as well as storage areas and suppliers. If individual options are not immediately available, a configurator can display alternatives for faster delivery. It is important to inform the customer about returns. An interesting point here is whether returns are possible for individualised products. As mentioned earlier, it is also crucial to identify which choices affect pricing and shipping. Specifically: paid extras, volume discounts, custom pricing rules, etc. With a configurator, higher price transparency is possible, as the customer learns which options cost more or where they can save. Ultimately, a configurator must be technically integrated into the shop system. The following questions should be answered: Which applications does a configurator have to communicate with? Are standard functions of the shop or an ERP system needed? If so, are individual adjustments sufficient or are upgrades necessary? Do we apply a finished add-on module for the shop system used or a product configurator software that will be integrated into the existing shop as a third-party system? In addition, interfaces to PIM, ERP, payment, and logistics systems come into play. This raises the questions: Where does the required data come from? Who maintains it? Where and how is the data processed? Another interface to the CRM system could be considered, especially if a retailer or manufacturer want to create custom discount rules. Our strategy and concept team will be pleased to assist you in answering these questions as well as in choosing the right solution for your individual requirements.